A new version, 2.4 was just released. It features custom timers in library. Custom timers are a way of having some tasks which have to be called periodically in “strange” timer intervals, like one task each 100ms, another each 107ms, third each 123ms and so on. The way this works is that each time delay timer makes 1ms interrupt, interrupt handler checks for all created software “timers”. If their value, which is decreased in this systick handler reaches zero, callback function is called for user. Timers allows custom features like custom reload value when callbacks happen and auto reload value is possible too. Auto reload feature means that when timer reaches zero, then timer will begin counting at start value if auto reload is enabled. If auto reload is not enabled, when timer reaches zero, callback is called and timer become disabled. To start it back, you have to manually enable it. Look for all functions in library or API documentation for STM32F4xx libraries provided from me. From this moment, there is new delay system. First system used Systick timer to make an interrupts every 1us. 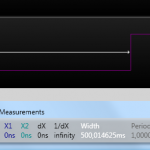 This allows us great accuracy in microseconds but not so nice for processor and interrupts. Also, Systick can be used for RTOS and then it become incompatible for my delay. //Select custom timer for delay, here is TIM2 selected. //If you want custom TIMx, just replace number "2" for your TIM's number. In case above, TIM2 is used, but if you want your custom timer (TIM6 or TIM7, or anything) you can just replace number “2” with any custom number for your timer available in F4xx MCU. It’s nice that is is free, but code compiled is totally different from ARM compiler (in Keil). So I suggest you, that you enable your timer for delay (Instead of Systick timer), otherwise your delay will not be accurate and you will have problems. How to enable delay with custom timer is described above! PS: If you are using ARM Compiler (Keil uVision) then you don’t need to use peripheral timer if you don’t want to. There might be also somewhere..
STM32F429 can go up to 180MHz. It has PLL (Phase-Locked Loop) inside to increase frequency from 8MHz external crystal which is on board. I will describe how you do this, step by step. PS: On Clock speeds is a great tutorial how to do it with ST’s excel clock configuration tool, but this tool does not support frequencies larger than 168MHz, so we will do it manually. These will give us exactly 180MHz. That’s it, your system now works at 180MHz. Microcontroller has Systick timer, which can be configured as interrupt generator every X ticks of core clock. In my delay library I set timer to interrupt every 1us. This is every 180 clock ticks. When you use delay function, you set number of microseconds to delay. Systick timer decrease variable everytime interrupt is called. When timing variable is zero, delay has finished. First, you have to initialize Systick timer (inside is code for set 180MHz core clock). * This function enables delay timer. It can be systick or user selectable timer. * This function disables delay timer. It can be systick or user selectable timer. I connected my logic analyzer to green led’s pin and result is on left. Project is available on Github, download library below.